Another card added to my shop! 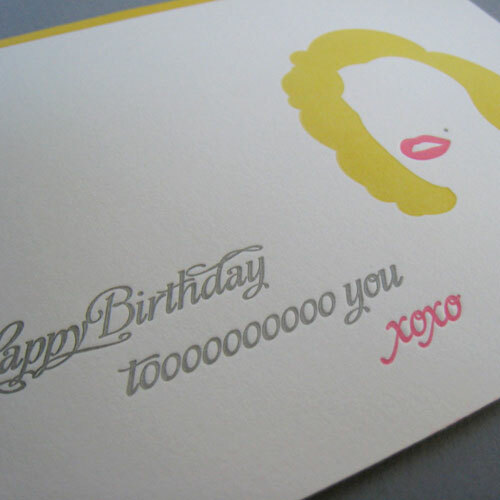 The Marilyn birthday card is a fun way to wish someone Happy Birthday. These are A6 flat letterpress cards printed in 3 colors on Crane Lettra pearl white paper with a French Paper lemon drop envelope. Get yours today! 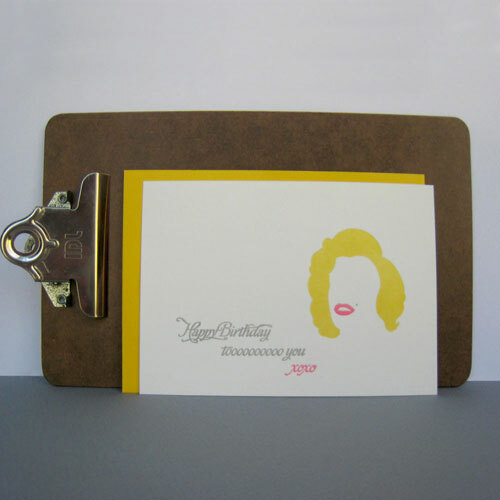 Tags: birthday card, fancy seeing you here, fancyseeingyouhere, letterpress birthday card, marilyn birthday card, marilyn monroe, marilyn monroe card, sarah hanks, Sarah Hanks Ltd.